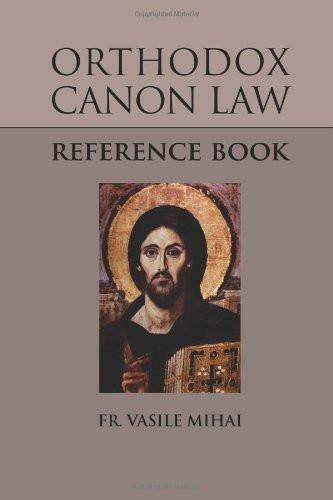 In one manageable volume, Orthodox Canon Law Reference Book makes the canons of the Orthodox Church, which were written and complied over centuries, searchable and accessible to current inquirers. In his preface, Fr. Mihai explains the place of canons in relation to revealed faith and the personal experience of God s presence. A most valuable introduction distinguishes between Canon Law and secular law, and not only discusses how to interpret canons, but also offers several examples demonstrating the interpretive process of analysis and application. Alphabetized topics organize the pertinent canons, which are then listed chronologically under each topic. Numerous footnotes offer explanations for terms and understandings from historical contexts. Three appendices discuss the meaning of the word canon, the priest-penitent relationship, and Byzantine legislation on homosexuality.